Will Los Osos hold a special election? Last week, Gong admitted his office erred when it allowed incumbent Christine Womack to run unopposed for a two-year term in the Nov. 6 election. The election should have been to fill three four-year seats, including Womack’s. At that time, Gong also announced plans to disqualify the two winners of the four-year terms, Chuck Cesena and Matthew Fourcroy, and to call for a special election. Cal Coast Times asked Gong how the Los Osos CSD would conduct business without a quorum. CCT also asked how the change was made from three four-year seats his office confirmed in May, to one two-year seat and two four-year seats later listed on the ballot. Gong did not answer either of the questions. 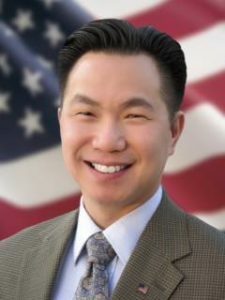 Instead, on Friday Gong described a new path in which he will ask the San Luis Obispo County Board of Supervisors to invalidate Womack’s appointment to the Los Osos board. Following the invalidation, Gong said the Los Osos board can extend Womack’s position while it decides whether to call for a special election or make an appointment. However, there is no state statute that would allow for the position to be extended. The Election Code provides only two options, to fill a vacancy by appointment or by special election. As a special election would cost more than $50,000, it is likely an appointment will be made. In the November election, Cesena came in first place with 33.8 percent of the vote. In second place, Fourcroy narrowly beat Steve Best. Fourcroy received 28.2 percent while Best garnered 27.6 percent of the vote. SLO County Clerk Recorder Tommy Gong needs to go! Looks like we may have to choose another County Clerk….two elections and two problems in his background….not a very good record so far!! And it will be charged to the citizens of Los Osos, just like the $10,000,000 mistake the County made.